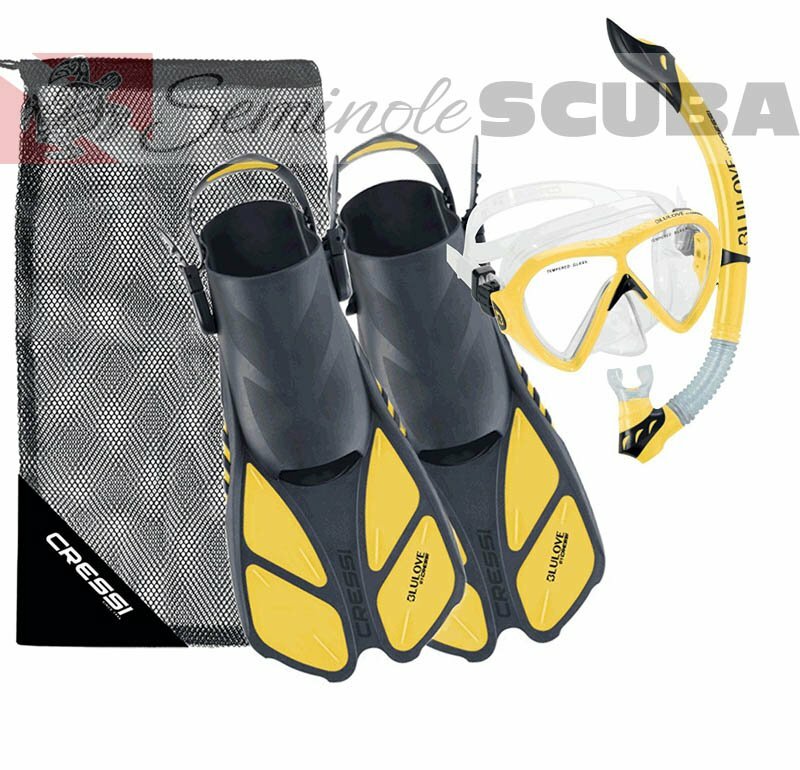 The Bonete combo is a lightweight and inexpensive equipment great for travelers that want discover the underwater world. Both mask and snorkel have parts made with soft and hypoallergenic silicone to ensure comfort and easy to use. The mask features a silicone skirt and an extra strong plastic mask frame for ultimate comfort and added durability. Clear, tempered lenses ensure maximum lens strength and unparalleled viewing. Additionally, a quick-adjust silicone strap and buckle make for easy adjustments and fine tuning for the perfect fit. The Jigen features a semi-dry top that minimizes the amount of water that enters the snorkel and guards against water chop. Its contoured shape and corrugated flex tube ensure supreme comfort and lessen jaw fatigue. The silicone mouthpiece also offers a comfortable and precise fit. Additionally, the snorkel contains a one-way purge valve for easy clearing of the snorkel.